Before starting the Supertramp reviews, I figured Crisis? What Crisis? would get a 10/15, which is a grade I reserve for albums that are good but have a number of flaws. The reason for that is this is the only classic Supertramp album from their 1974-1979 Golden Age that I rarely listen to. Another reason: This is a marked step down from their previous album, Crime of the Century, even though it’s done in the exact same style. And nobody likes inferior sequels. It turns out there is a pretty good reason Crisis? What Crisis? succumbed to inferior-sequel-itis: After this group finally came out with an album that sold, their record company–being a record company–wanted a follow-up to come out as quickly as possible. The only way they could comply was to use leftover songs. Nevertheless, as I was listening to this album extensively to prepare this review, I found out that I was actually enjoying these songs quite a bit. Sure, it’s main problem is that these songs don’t quite hit me like the peak songs of Crime of the Century–nothing that quite matches the staying power of “Hide in Your Shell,” “Bloody Well Right,” or “School.” However, if you liked the other songs of that album, then you ought to like these songs almost equally as much. It starts with “Easy Does It” a lighthearted, two-minute pop song that reminds me of solo-Paul McCartney. The melody is cute and likeable. What else do you expect from it? That’s followed up with “Sister Moonshine,” which is such a strong tune that I think it ought to be included on Supertramp’s Greatest Hits compilations. I guess the only thing holding it back was something technical: It wasn’t a hit. However, it contains so many melodic/instrumental turns that catch my ear and make the song into a delight. “Ain’t Nobody But Me” is darker and characterized by a heavy, sultry piano, wobbly guitar and watery Hammond organ. 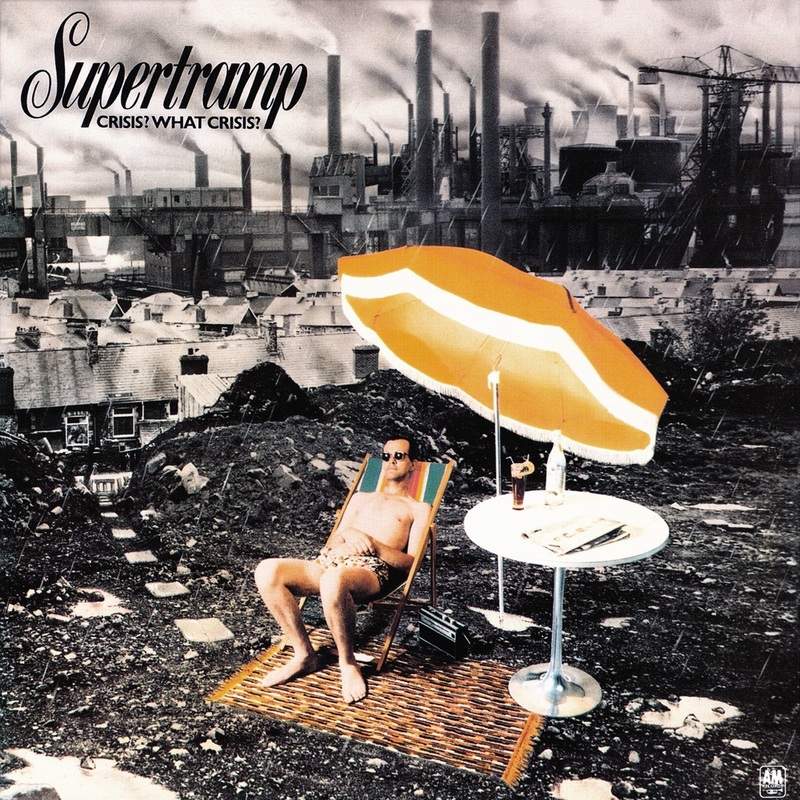 The chorus it breaks into is more soaring and thoughtful, and you know, it’s choruses like those that made me turn into a Supertramp fan in the first place. It might not be as memorable as one of their hits, but it has soul. “Soapbox Opera” is a theatrical ballad that comes off as a bit unfocused and not nearly as BIG as I think it could have been, but I like its thick atmosphere, and there are also plenty of interesting vocal hooks interspersed throughout. “Lady” isn’t a Styx cover, so you can safely remove your fingers from your ears as it starts up. It’s a pretty bright and punchy pop-rock number with solid pop hooks and *sigh* more of those rapid-pace electric keyboards. That is, I don’t particularly mind that style–on principle–but that’s another example of them shoving it at you. “Another Man’s Woman” definitely has its moments, but so much of its six-minute running length is little more than space-out fodder. Albeit entertaining space-out fodder. “Just a Normal Day” is a ballad that starts off awfully slow, but a saxophone comes in during the final third and lifts my spirits quite a bit. Really, I think this is proof that all ballads need a good saxophone solo. Some even meatier saxophone plays during “The Meaning,” which is a rather dark epic featuring plenty of loud, soaring vocals weaving its way through a theatrical melody. The concluding song is “Two of Us” (not to be confused with The Beatles song!) which is a very slow-moving ballad with a strumming acoustic guitar and a thick church-like, organ in the background. It’s sort of an underwhelming conclusion; however, that oboe solo toward the end is beautiful. In the end, this album was a step down for the group. However, it’s not as large of a step down as some people (including actual members of the group) claim it is. While this does lack a definitive hit single, the quality of these songs/arrangements continue to be high. From now on, I’m going to think of this as nothing less than a fitting companion piece to Crime of the Century.